Designed by Leonardo Danielli, the Brera Armchair by Daytona features sturdy plywood framework covered in multi-density rubber and an all-over surface layer of soft goose down. The complementary cushion is also filled with goose down for optimum comfort. The seat and backrest are upholstered in precious nubuck leather with an external shell of quilted leather. 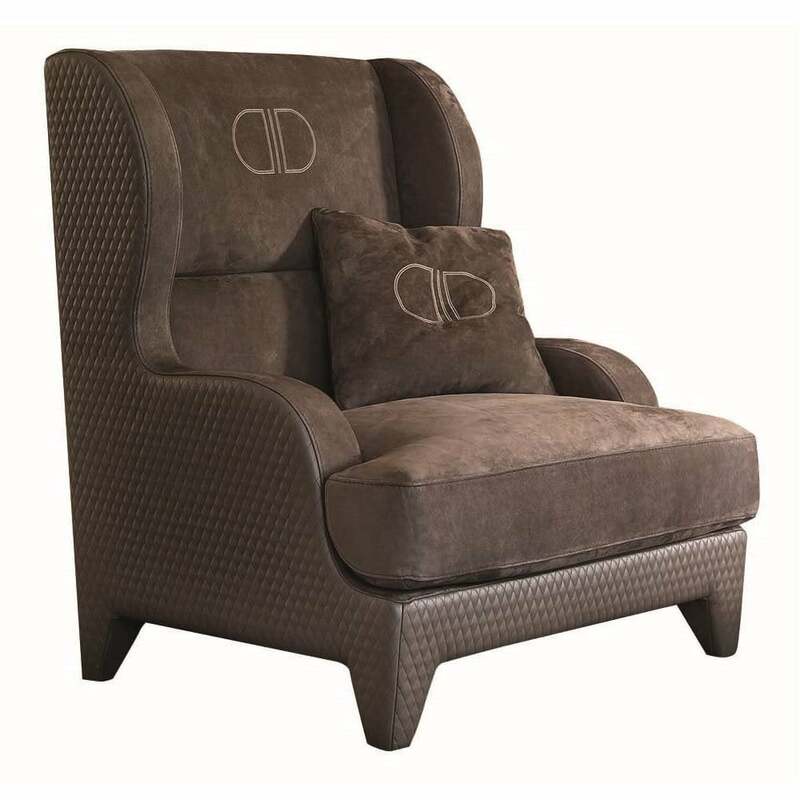 The combination of luxurious textures creates a refined and elegant armchair that is crafted to the highest standard. We love the design in the chocolate brown hue paired with burnished brass, dramatic black and intricate marble. Perfect for a reading corner, the Brera Armchair is hand-stitched with the signature double D logo presenting a mark of quality. Get in touch with our friendly team to find out more about bespoke options. 100% made in Italy.